A few weeks ago, BMW unveiled their latest top-of-the-range racing-grade road car, the Concept M4 GTS, that has OLED taillights. BMW has announced now that they are starting to produce this car commercially - but at very limited quantities - in fact only 700 will be made, and deliveries are planned to begin in March 2016. 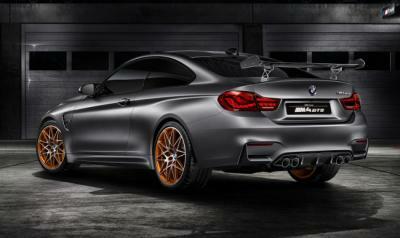 We do not know who is providing the OLEDs for BMW's M4 GTS. BMW has been showing several OLED lighting concepts in the past years, collaborating with Astron Fiamm, Philips, LG Chem and OSRAM. 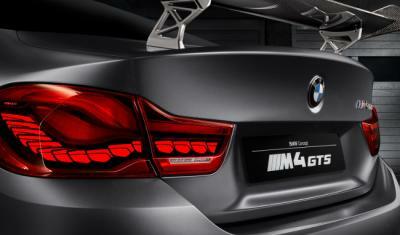 Will the M4 GTS be BMW's first car with OLED taillights?